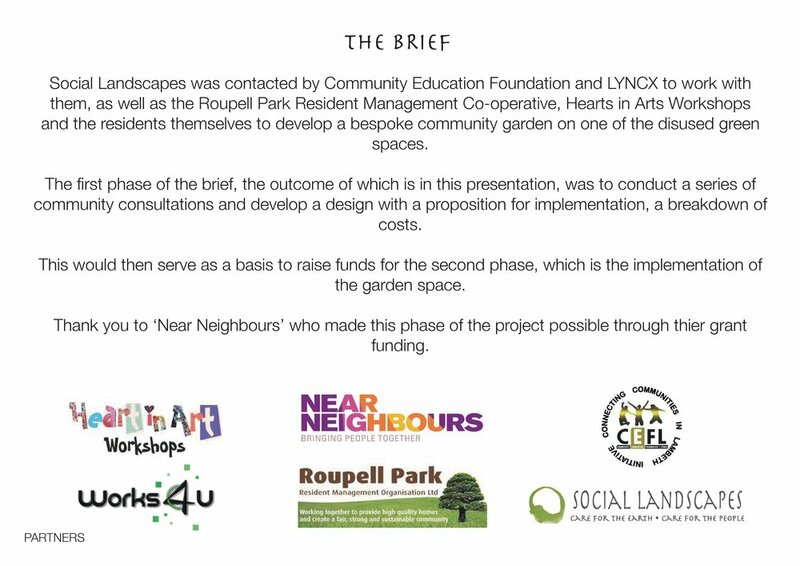 Social Landscapes worked with CEF & Lyncx, the Roupell Park Resident Management Cooperative and the Roupell Park residents themselves to come up with a design proposal for an disused green space on the estate. 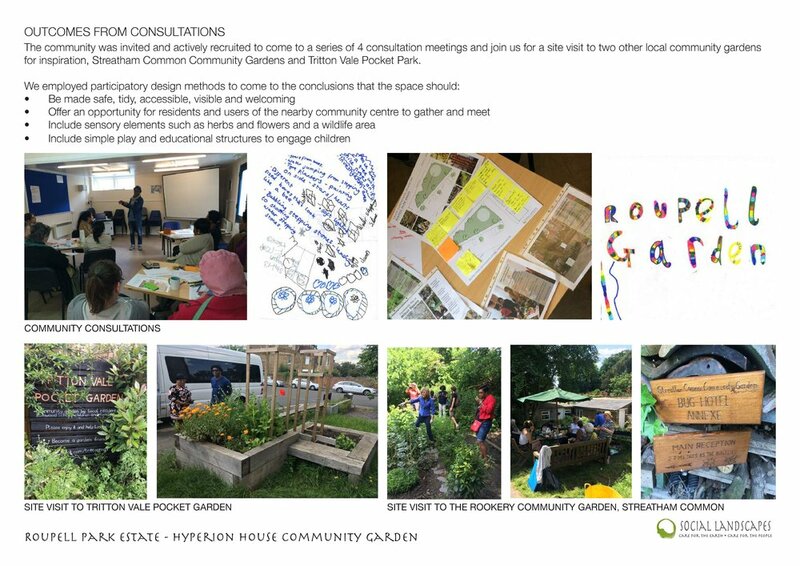 This consultation was funded by Near Neighbours. 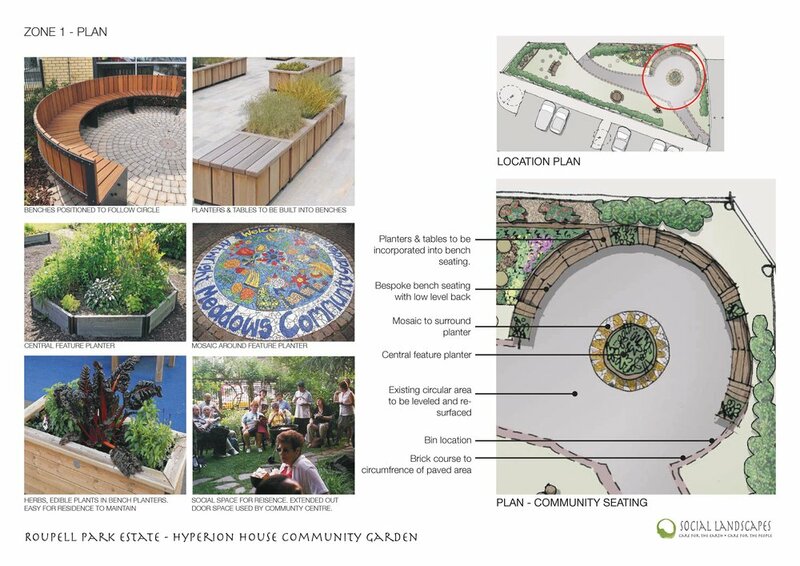 We are currently looking for funding and corporate sponsors to bring the garden to life.